Available Friday or Saturday Night! 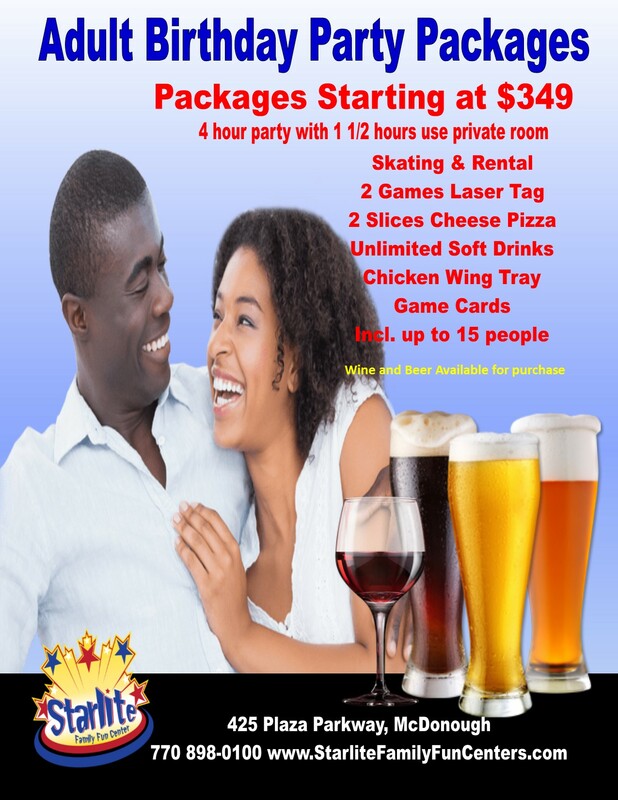 Grab your closest friends and head on out for a GREAT Adult Skate and Laser Tag Party. Make it a THEME Party! Your package includes you and 14 friends, however the more, the merrier. Additional guests are $23.